This month’s release of Live at Stubb’s Vol. III marks 10 years in the limelight for Matisyahu, the American Jewish reggae rapping sensation. But it hasn’t all been smooth sailing since the 2005 breakout album Live at Stubb’s for the man his fans commonly refer to as Matis. Many have heard and read the whitewashed, Hollywood-ized stories of the drug-addicted lost soul, then Matt Miller, who immersed himself in Chabad, transitioned into a Hassidic reggae rapper, eventually shaved off his payot and beard, went through a public divorce, and most recently stood tall against pro-Palestinian Boycott Divestment and Sanctions (BDS) activists during an August performance at a reggae festival in Spain. Before worldwide acclaim for Matisyahu, which is the Ashkenazi pronunciation of his Hebrew name, he was simply Matt from White Plains. “Panim el Panim,” which literally translates to “face to face,” is to “see the divine in the face of the person you’re looking at,” said Bronstein as he reached into a filing cabinet adjacent to his desk. There he pulled out a manila folder labeled “1992.” It was merely one of countless folders in the rabbi’s archaic filing system. It, like all the others, contained handwritten notes on every bar and bat mitzvah student he helped that year. Among the pages saved were Matt Miller’s, whose entrance into manhood was dated September 5, 1992. The rabbi glowingly read aloud an excerpt from the notes that he had taken from a one-on-one conversation he had with Matt 23 years ago this past May. As he continued to thumb through pages of notes from over two decades ago, Bronstein forced back a smile when he saw that he had noted to himself to urge Matt to improvise the tune of his haftarah (Shoftim) instead of hesitate. The foreshadowing embedded in the rabbi’s notes cast a light on how 12-year-old Matt wasn’t much different from the now 36-year-old stage-diving Matis. The peace-loving American reggae rapper attributes much of his identity, strength and fortitude to the values of his parents. His father, Bob Miller, chaired the board of Bet Am for three years and also served for 30 years as President/CEO of Westhab, a not-for-profit provider of social services and housing for the homeless and low-income families in metropolitan New York City. Mother Rochelle Leiber-Miller is a longtime social worker and also active in the synagogue. On an unseasonably warm 89-degree Thursday afternoon in mid-September in lower Manhattan, Matisyahu could be seen strolling up University Place, coming from a meeting with Razor & Tie, the distributing company behind Live at Stubb’s Vol. III. With his unmistakably leisurely gait, the 6’4” Matis went virtually unnoticed by passersby as he journeyed from Washington Square Park to Union Square. He wore a $3,500 navy blue designer sport coat, unbuttoned, draped over an unkempt white v-neck t-shirt, MC Hammer-style, likely designer black high-waters, and untied, worn-out GGDB sneakers. Seated on a partially shaded bench in Union Square, he peeled off his kicks and chatted about his commemorative album. Naturally, he couldn’t help but flash back to the groundswell surrounding him and his band-mates accrued 10 years ago. “I remember [after making the deal] walking in with Michael Caplan to Epic Records, meeting Don Ienner, the head of Epic Records at that time, and the whole concept that Michael streamlined was that [these guys] were a huge bank and a marketing machine,” said Matisyahu, who paused to take a drag from a cigarette and a swig of water. Live at Stubb’s Vol. III was recorded in April, while he was between touring; it is a re-recording of six songs from the original Live at Stubb’s. And he emphasized how this album doesn’t just honor the acclaim of the previous album—it captures what his sound is like now, and how it’s evolved. Matis, who always wears his feelings and lyrics on his sleeve, spoke with passion about this recent phase of his career. In addition to the album, in which most of the familiar ballads have been stretched to run in excess of 10 minutes, he also debuted the video of the song “Reservoir,” which is off his last album, Akeda. He proceeded to describe in a soft-spoken, almost somber way, that “Reservoir” was “really important to me.” It was as clear as the sky above Union Square that the song and video represent an intense transition period that he was feeling at that time in his life. And as he’s said in past interviews, the best and sometimes only way to understand what he means is to listen to his music. Just as Bronstein had urged Matt to belt out his haftarah with more improvisation at age 13, it was his improv skills that ended up factoring into the decision to record the album Live at Stubb’s, Matis recalled. 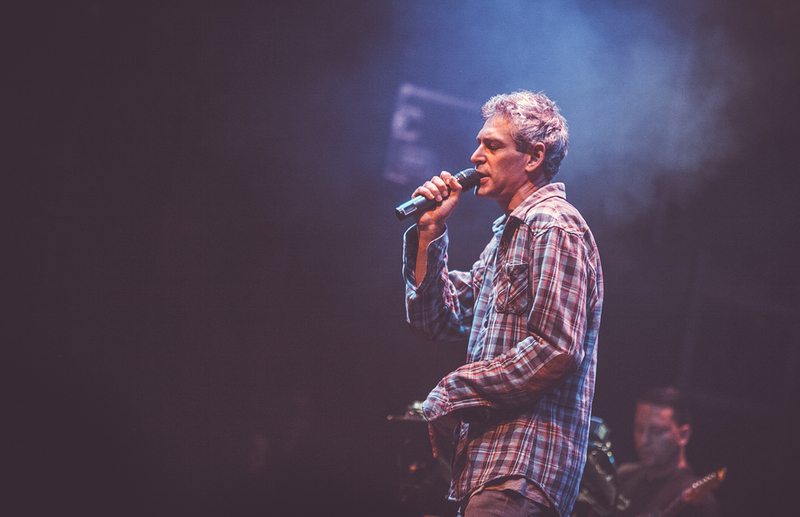 Through it all, Matisyahu continues to be the living embodiment of both his haftarah and his first album from 2004, entitled Shake Off The Dust…Arise. If that phrase sounds familiar it’s because it is: It’s part of the beautiful, timeless poem Lecha Dodi, which is sung to usher in Shabbat. It was Rabbi Alkebetz who penned this hymn in the 16th century, at a time when the Jewish people were homeless and in exile. The message essentially called upon the Jewish people to be proud of who they are and to use the gift that God has given them. Benjamin J. Block is a journalist whose work has been published in Yankees Magazine and on Sportsblog.com, Stats.com, iSPORTSTIMES.com and Bleacher Report.